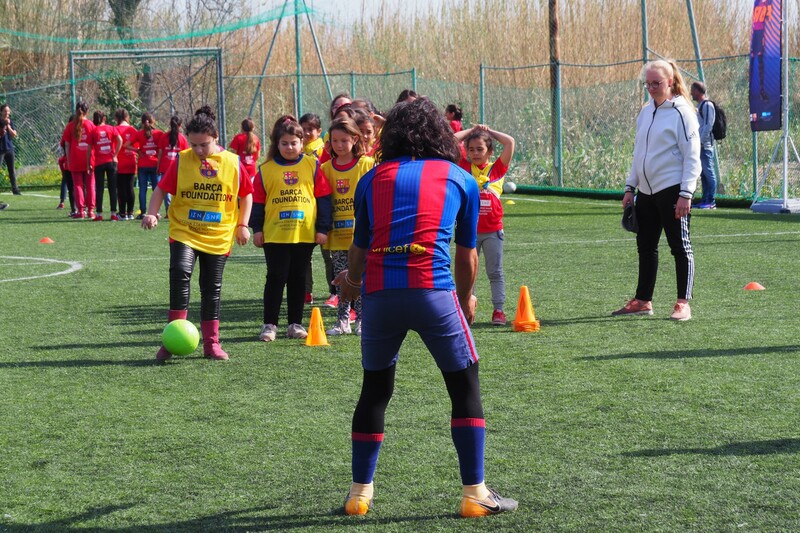 Our long-term partner FC Barcelona recently came to Lesvos to host an amazing weekend full of sporting activities for children. 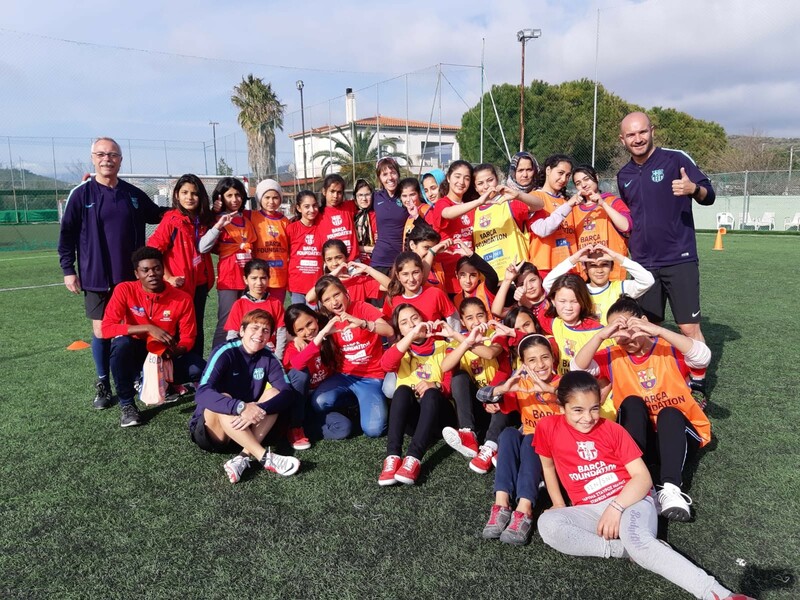 Former players from the world-renowned team, came together with children from the Moria camp, our Kara Tepe CampUs, as well as Greek children from our host community, for a memorable 3 days! The visit was a huge reminder of the value and importance of sports for our Camp to CampUs philosophy. The pinnacle of the weekend was a tournament held on the Saturday, attended by over 200 children. 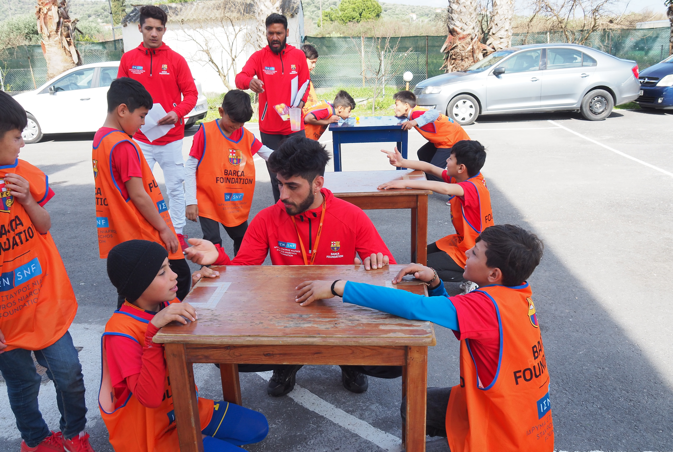 To make sure all age groups would have the chance to take part, our coordinators divided the day into two parts, reserving the morning for children under the age of 12 and the afternoon for the older teenagers. All of the children received a lunch, a photo with the players and a card with a signature at the end of the day. Sport is an important part of how we try to promote interaction and understanding between the different residents of Lesvos. 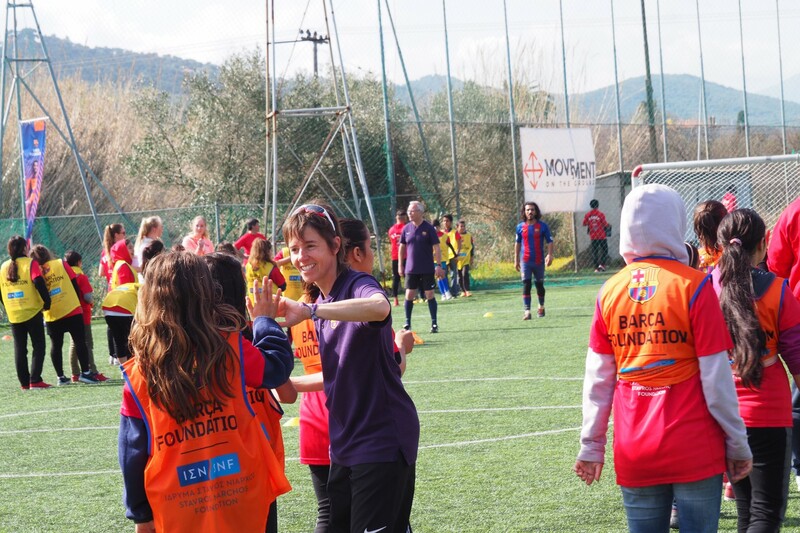 Barcelona FC help support our amazing FutbolNET program; sporting activities for children that are open for both our Greek host community and our residents to attend. Tanja, our sports coordinator, was especially touched to see so many Greek children from the FutbolNet program attend the event. Special events like these also offer children from our CampUses the opportunity to make positive memories and learn, in a safe and healthy environment. Over one third of the refugees who have arrived to the Greek islands since 2015 are children. Its really important for us to make sure they have a childhood where they can thrive and not just survive. Our coordinator Tirza, told us more about how important the day was for them. Thanks to FC Barcelona for an unforgettable weekend and to all of our hardworking volunteers and coordinators who made sure things ran smoothly! If you would like to contribute towards other educational activities like these, click here.